What does it mean, to "pray always and not lose heart?" So many connections surface, but the focus that recently jumped out was the connection between the praying, and not losing heart. 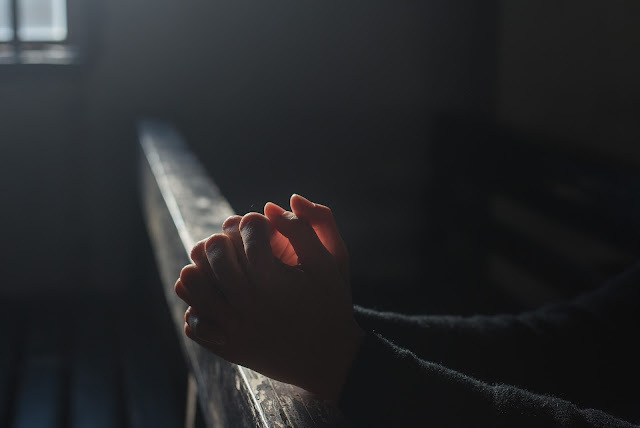 I'm reminded of what is stated in the introduction to the section on Prayer in the Catechism: "According to Scripture, it is the heart that prays...The heart is the dwelling place where I am...the heart is our hidden center...it is the place of encounter." These descriptions evoke the image of abiding recollection, welcoming God, His Presence. It's stillness with vitality, that is fruitful in courage. If I will "pray always," I won't "lose heart." So, what is it to "keep" heart?" If someone keeps heart, he or she possesses courage (from the Latin, "cor"). To not lose heart, or to keep heart, is to keep courage; it denotes the strength to face challenge and temptation, to persevere, to spring into action, if need be. The not losing of heart flows from the praying always. That is because the abiding is in God, who is love, and He in us. Even more, the praying always and not losing heart is a "necessity." The goal, at every turn, is to pray, and to not lose heart. If it is lost, then it is a necessity to recover, in order to keep custody of the heart, growing in the prized gift of faith that allows the current of God's vital love to increasingly permeate and radiate. "With closest custody, guard your heart, for in it are the sources of life." (Proverbs 4:23).